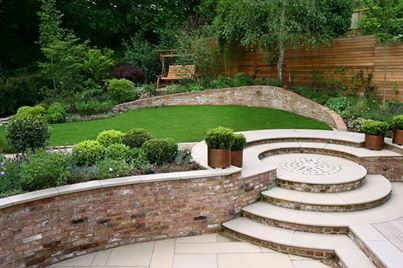 Having completed the design of your new garden, we put the landscape gardeners process into place using our fantastic team of landscapers who will make your garden the ideal garden for you or your children, whilst causing you as little disruption as possible. Paving St Helens – this is anything from creating you a new garden path to having an entire garden paved, whatever your needs our gardeners are here for you. Fencing St Helens – Do you want a new garden fence installing or just want it coating a different colour to match your needs, our gardeners will make this happen fast, professionally and with high standards. Decking St Helens – Have you ever wanted decking putting down in your garden to have a nice relaxing area just to sit down and enjoy the sun? Then our gardeners will be able to help as we provide fantastic decking to suit your needs. Turf St Helens – This can be anything from changing from paving to grass, up to turfing the entire garden because the grass might not be growing or might be dead in parts, our gardeners can help you have a beautiful looking garden, with the greenest of grass around. Whatever your needs are you can be sure that our Gardeners St Helens based, will provide you with excellent and professional assistance, to have your garden the way you want it.